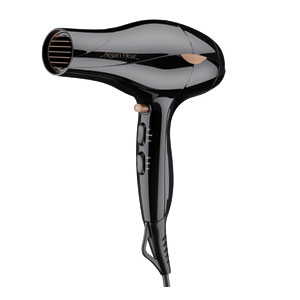 This 1875-watt AC dryer fights frizz and delivers shineusing ionic technology and a ceramic grille infused withMoroccan argan oil. 6 heat/speed settings plus cold shotand an 8′ power cord put you in control. BONUS 3.4 oz. Argan Oil Treatment included! The One ‘n Only Argan Heat Ceramic Dryer is a lightweight dryer weighing just 22 ounces with a professional grade AC motor and ionic generator. Other features include 6 heat/speed settings, cold shot button, concentrator nozzle, removable filter and cold shot button.